First of the 2012 breed - would you have picked this nose? 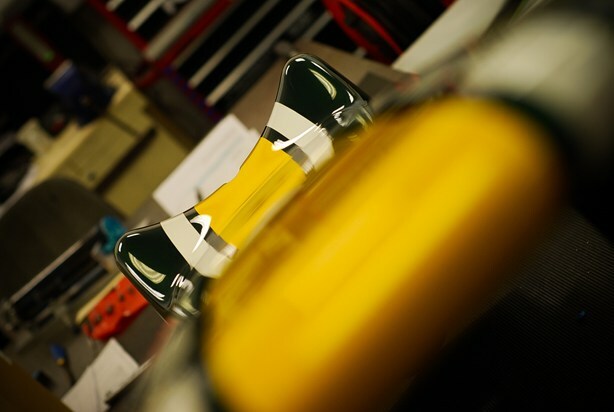 Caterham boss Tony Fernandes is in optimistic mood in the light of the launch of the new CT01, the first 2012 F1 car to break cover. The Malaysian entrepreneur expects the rebranded team to make good progress this year. Fernandes said he was pleased that the unusual nose has attracted attention. “Personally I love this car, and it’s very flattering that people want to talk about our car and our team, but the main consideration is that it is quick. As long as it is quicker than last year’s car I don’t think the looks matter, and I am sure that when all the other cars are unveiled we will see a pretty common thread running through all of them. I actually think it’s beautiful. It’s different, and different does not equal ugly – in fact I think its difference is what makes it beautiful, but then I am probably a bit biased. “However, it is important to remember that how the car looks and behaves is one part, admittedly a major part, but just one part of what makes this team who we are. Caterham is the name we will race under for many years to come, but we still have the same DNA we have had since day one, back in 2009. “We are the same team but every day we are growing stronger and what underpins that growth is the people in our team who have been with us since the early days, and the people who have come on board and share our vision. We are still very proudly green and yellow and I think that says rather a lot about who we are. Fernandes said that the clear aim this year was to score points. “Target wise, I have been quoted as saying I want us to score a point this year and that really has to be the aim. It has to be. Towards the end of last year we were so close to the midfield cars, but our lack of KERS limited our capabilities. that’s a really cool shot of the front nose!